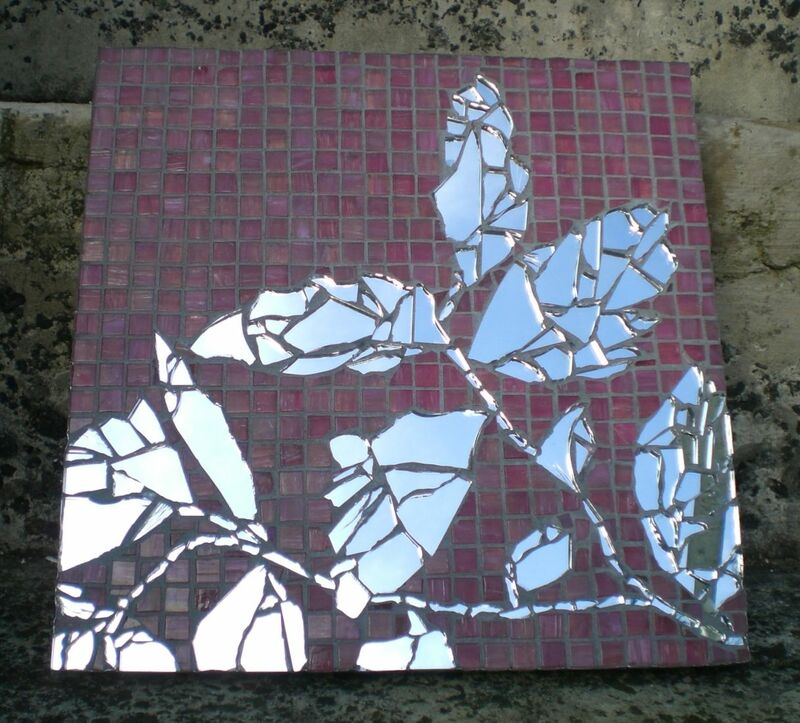 A trivet present for my good friend, a keen cook, for her kitchen which has a kinda snazzy pink and silver wallpaper. 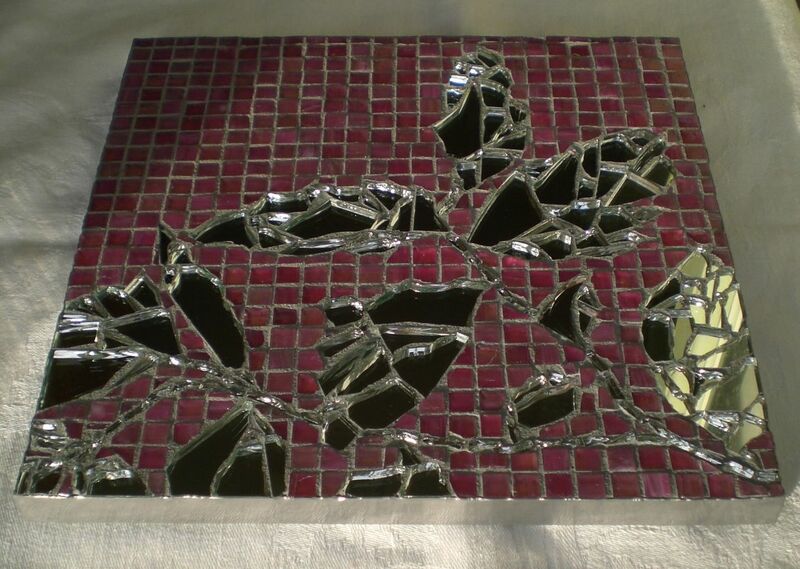 This mosaic is 10″ x 10″, bound in lead strip and made from small pink tiles and broken mirror. Here’s what’s so great about mirror, it looks different every time you look at it.